We place great importance on our children developing good literacy skills. Literacy includes speaking and listening, reading and writing. All children attend Letters and Sounds groups each morning to learn the crucial skills of decoding, reading and spelling words. These Letters and Sounds lessons are followed by whole class Literacy sessions four times a week and are supplemented by individual and group reading. 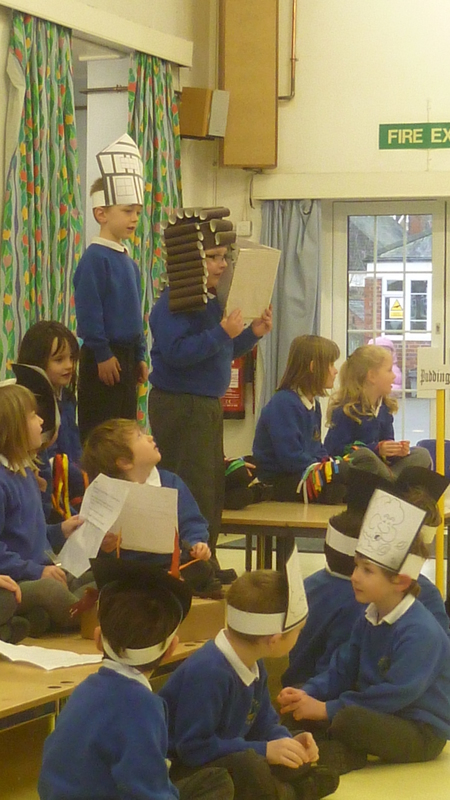 Speaking and Listening is part of all of our work in school from role play in imaginative play situations to drama and presentation or explanations of design projects and investigations. Key vocabulary is taught in every subject of the curriculum. It is vital that children learn to speak fluently and clearly, listen effectively, participate in discussion and follow instructions. The building blocks of reading are taught through our literacy lessons, with children learning to ‘sound out’ words initially, then moving on to comprehension and deduction. 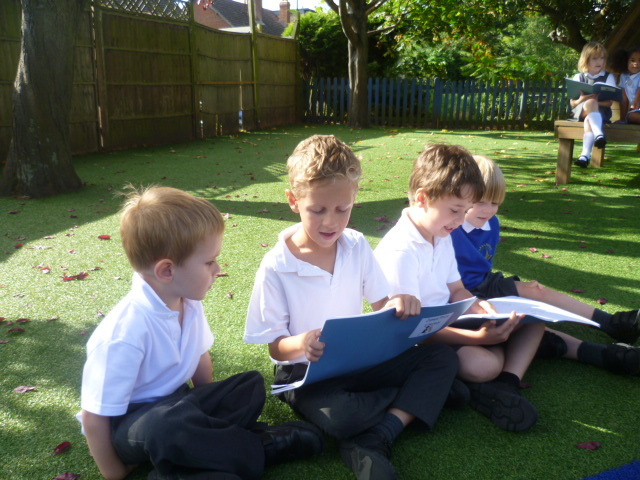 ‘Shared Reading’ time allows our teachers to model expert reading to children, who join in and develop reading skills such as expression and pausing for punctuation. In addition to the daily literacy lesson children are heard to read through ‘Guided Reading’ sessions, with each child reading in a small group with their class teacher. Children also read to parent helpers and time is regularly set aside for quiet reading in class book corners. We have a well stocked school library and a progressive reading scheme. Children choose a library book each week which can be shared with their family. Books from our reading scheme can be changed as often as necessary. We encourage parental involvement with reading, and ask parents to regularly spend time sharing their child’s reading book, discussing the text and identifying familiar and new words. Developing children’s writing involves teaching spelling, sentence structure, punctuation, grammar, handwriting and composition and effect. These skills are a vital part of our literacy lessons each day, with children creating ‘Shared Writing’ with their teachers and analysing spelling patterns, use of punctuation and aspects of language. Children often write in pairs or small groups to learn from each other and share ideas. Often children write on mini white boards where they can easily correct errors, edit their work and gain confidence to try new vocabulary and literary effects. We use a scheme called ‘Teaching Toolkit’ to assist our planning for this crucial area of education. A workshop each January for Reception parents provides crucial advice on how to support reading at home.